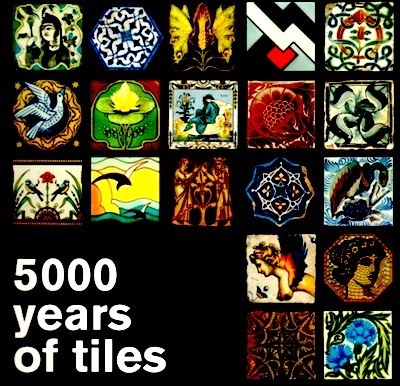 5,000 Years Of Tiles, by Hans van Lemmen, is a history of decorative ceramic tiles from their origins in Ancient Greece onwards. As van Lemmen writes in his introduction, the book "traces the rich legacy of tiles from pre-history to the present day, revealing how tiles have evolved both in terms of production and as an artistic medium". It supersedes Anne Berendsen's Tiles: A General History as the most comprehensive history of tiles. The book is part of the British Museum's series on decorative arts, including 5,000 Years Of Glass and 7,000 Years of Jewellery by Hugh Tait, 5,000 Years Of Textiles by Jennifer Harris, and 10,000 Years Of Pottery by Emmanuel Cooper. Its illustrations are largely, though not exclusively, taken from the Museum's collection.